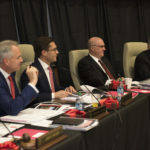 For the first time since 2012, the Texas Tech University (TTU) System Board of Regents met in El Paso last week. 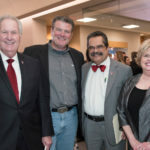 The Board of Regents, which oversees four institutions in the TTU System, including Texas Tech University Health Sciences Center El Paso (TTUHSC El Paso), advocates for excellence in academic and patient care programs, meaningful scientific research and responsible public service. 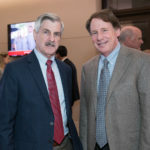 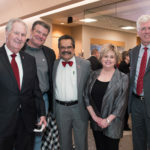 The regents were welcomed with a Community Reception Wednesday, Feb. 28, followed by a campus tour Thursday, March 1. 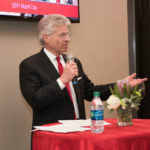 The tour showcased TTUHSC El Paso’s ongoing transformation, including the construction of its new five-story, 219,900-square-foot Medical Sciences Building II. 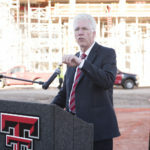 Once completed, the MSB II will triple TTUHSC El Paso’s research capacity. 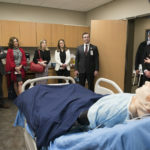 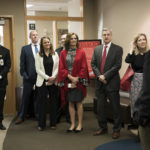 Other tour highlights included TTUHSC El Paso’s two medical simulation labs: the Center for Advanced Teaching and Assessment in Clinical Simulation (ATACS) and the Regional Simulation and Training Center. 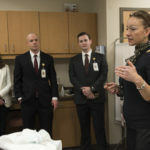 Housed in the Paul L. Foster School of Medicine, ATACS is the only simulation center in West Texas that is fully accredited in teaching and assessment by the Society for Simulation in Healthcare, and one of only two in the state. 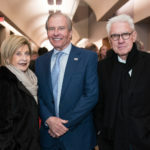 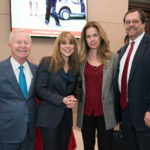 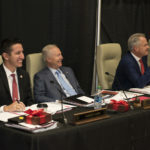 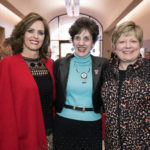 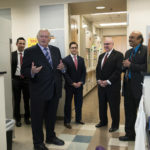 The regents’ visit to El Paso comes on the cusp a milestone in TTUHSC El Paso’s history; this May marks its five-year anniversary as a stand-alone institution. 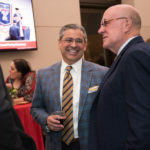 And with plans for the the future Woody L. Hunt School of Dental Medicine well underway, TTUHSC El Paso’s growth trajectory is promising. 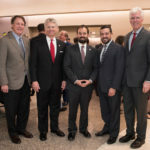 The university is currently conducting a feasibility study to bring West Texas’ first-ever dental school to the Borderland. 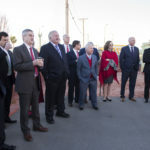 A major part of that process is determining where to house it.